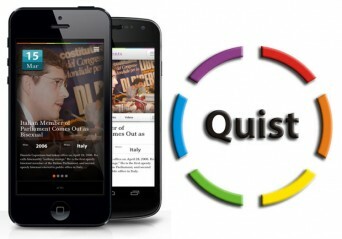 In an effort to bridge new mediums of information-sharing and raise awareness surrounding a shared history of LGBT-identifying individuals, a new mobile app called Quist became available worldwide today. Released for download on both iPhone and Android, Quist provides daily updates that summarize major landmarks and milestones for the queer community in a “this day in LGBTQ history” framework. Posted July 31st, 2013 & filed under Entertainment.